More baby news coming our way! 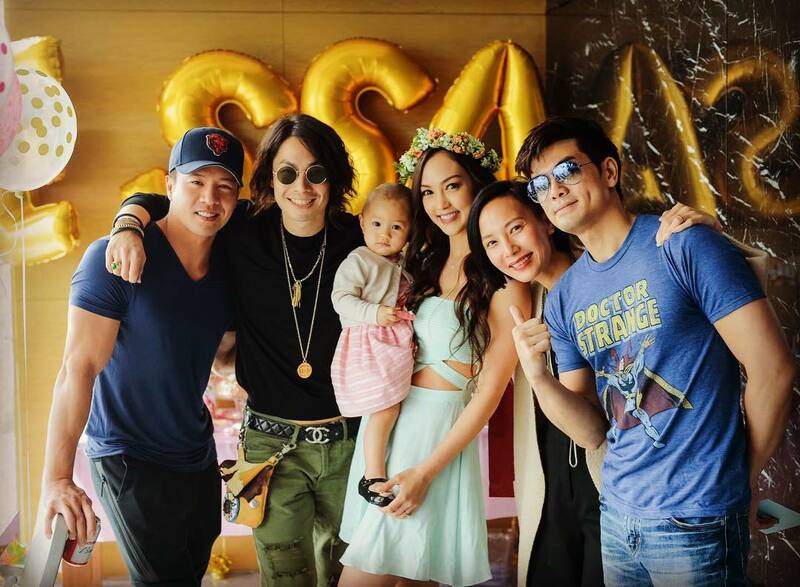 After the birth of Kay Tse (謝安琪) and Louis Cheung’s (張繼聰) daughter, and the cuteness of Linda Chung’s (鍾嘉欣) 7-month-old daughter Kelly, comes the news of Andy On (安志杰) and Jessica C.’s daughter, Tessa Nicole Tien, turning one. On March 23, Andy and JC shared on social media that their daughter, Tessa, hit her first big milestone yesterday, March 23. The couple held a birthday party for Tessa in Hong Kong; party guests included Andy’s mother and sister from Taiwan, and close friends Philip Ng (伍允龍) and Vanness Wu (吳建豪). Ana R. also brought along her daughter. JC said her daughter loves to laugh, and is the life of the party. As she does not have much hair, Tessa is often mistaken as a boy. JC then decided to give her a matching flower crown to wear. Like mother, like daughter! Andy and JC said they hope their daughter will grow well, and to live happily and healthily. JC shared that Tessa has musical talent, as she would dance whenever she hears music. Asking if she would allow her daughter to join the entertainment industry when she’s older, JC said she would give her daughter the choice. Andy, on the other hand, said he wants Tessa to be an athlete. Even better if she gets to represent her country! 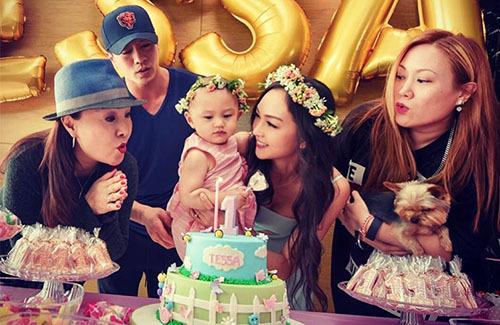 4 comments to Andy On and Jessica C.’s Daughter Turns One! haha I know how Jessica feels as my mother had the same problem with me. @happybi yes when i finally had hair, my mother also became relieved as she feared i would never have a head full of hair when i was able to attend school. @happybi both my maternal and paternal grandmother said the same exact thing to my mom, haha. Im glad she never shaved my head either. That’s good that your daughter’s hair eventually came around!